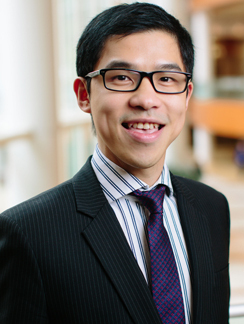 Wist cheungpasitporn is a nephrologist in Rochester, Minnesota and is affiliated with Mayo Clinic. He received his medical degree from Chulalongkorn University Faculty of Medicine and has been in practice for 8 years. He is one of 53 doctors at Mayo Clinic who specialize in Nephrology.As a Research Scholar, he is a recipient of many awards and grants for his valuable contributions and discoveries in major area of research. His research interests, as a Research Scholar lie in chronic kidney diseases and end stage renal diseases. He is a recipient of many awards and grants for his valuable contributions and discoveries in major area of research. His research interests lie in diabetic nephropathy. He is the Editor-in-Chief/Editorial Board Member of many peer reviewed journals and his area of expertise credits him with many publications in national and international journals. He is committed to highest standards of excellence and it proves through his/her authorship of many books.